RED CLOVER seeds (trifolium pratense) from Wildflowers UK. 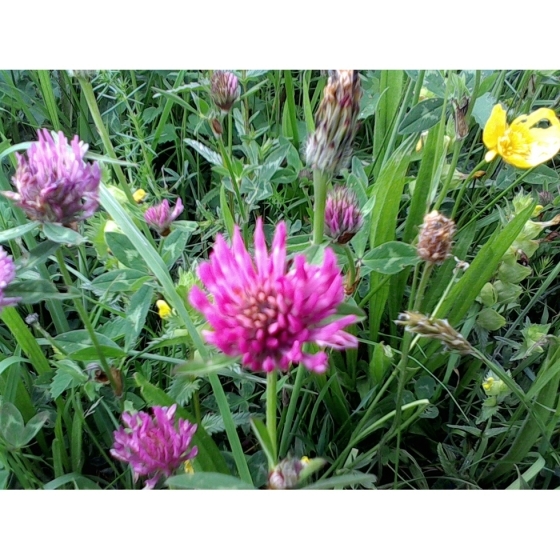 Wild Red Clover -trifolium pratense – grows best in well drained grassland and is well suited to poor soils on sites where there is plenty of sunlight. In the wild, plants occur on roadsides and in old meadows. It is increasingly common to find agriculture varieties of this plant growing in the wild, which are larger and grow more vigorously. The true wild red clover is far more attractive and has smaller flowers that are deeper red. Plants attract a wide range of insect life such as Bumble Bees, and Butterflies and in the wild, Red Clover also plays host to breeding butterflies such as the Short tailed Blue that will lay its eggs on the plant. 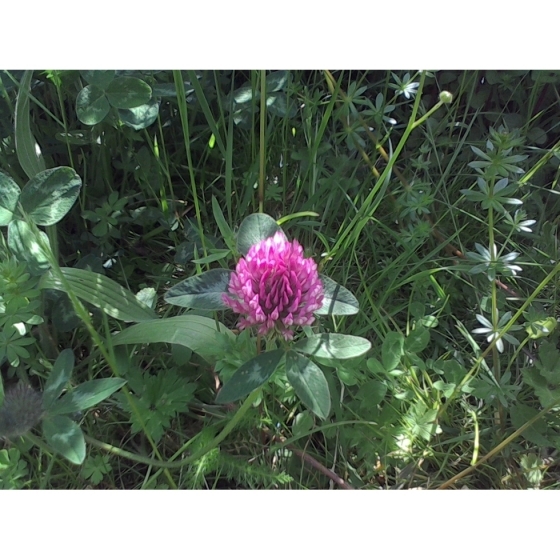 Red Clover is a low growing species with a deep red flower that appears from May to September. Red Clover looks best growing with other wild flowers that bloom in mid-summer such as Oxeye daisies, Birds foot trefoil, Meadow Cranesbills and Field Scabious. 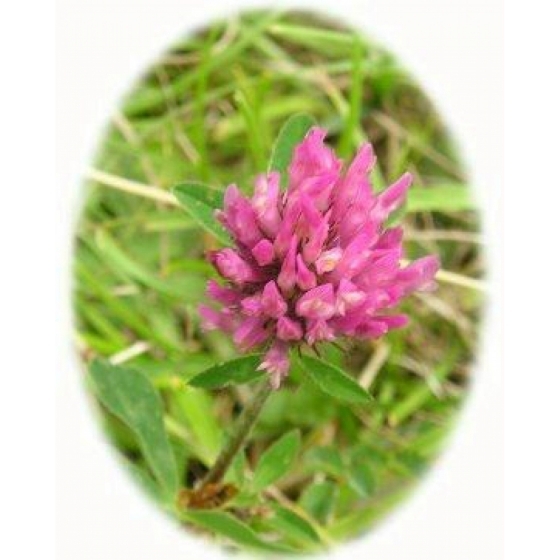 Alternative Names for Red Clover include meadow clover, wild red clover, cow clover, kitty clover, honeystalks, marl grass, wild clover and sugar plums. Red Clover seeds should be sown in spring or autumn, either outside, where they are to flower, or in seed trays and covered lightly with compost. Germination can be improved by lightly rubbing the seeds between 2 sheets of sandpaper. This is known as scarification and helps break down the seed’s tough outer shell. Wild Red Clover seeds are usually easy to germinate and the seedlings, which are quick to develop, can be pricked out and grown on, for planting out later in the year. 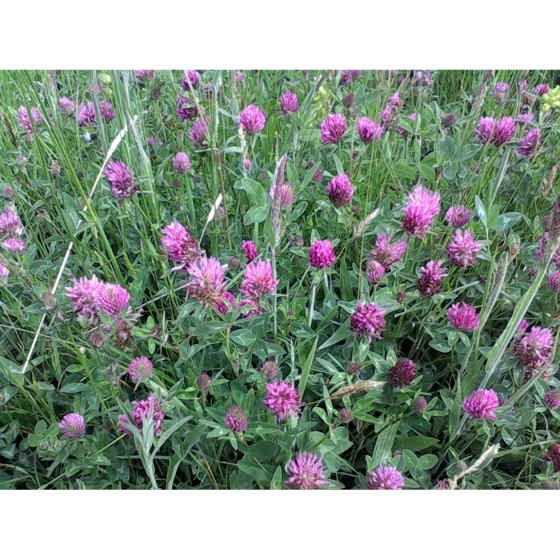 To purchase Red Clover seeds, please select a quantity above and click add to cart. To ensure the best chance of success, we sell all of our wildflower seeds by weight, which ensures each wildflower seed packet contains a good quantity of seeds. The recommended sowing rate is 1 gram per square metre, and the number Wild Red Clover seeds per gram is approx. 1000. All of our Wildflower seed packets contain seeds of Native British provenance.